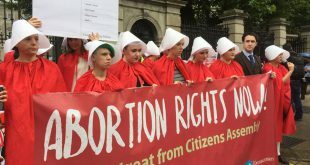 “The vote by the European Parliament not to vote on the Estrela report on Sexual and Reproductive Health and Rights is a temporary victory for so-called “Pro-life” politicians who want us to bring us into the dark ages across Europe. It is clear some Irish MEPs have learnt nothing from the tragic death of Savita Halappanavar, with 7 of the 12 MEPs from the Republic of Ireland, including all the Fianna Fail MEPs and three of the four Fine Gael MEPs, voting to send this report back to the committee. 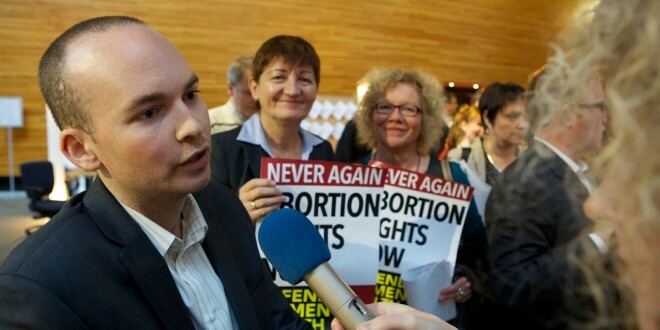 “Those politicians including Irish MEPs who bluster in outrage about the ‘rights of the unborn,’ are frankly hypocrites. They are the same politicians who are happy to vote for money to the armaments industry which is guilty of killing children every day and they are same politicians who endorse EU austerity which is causing untold damage and hardship to young people and others across Europe. “I supported this report and opposed any delay in voting on it as it strengthens the struggle for abortion rights and proper sexual education and health. Importantly the report explicitly identifies Ireland for its extremely restrictive abortion laws (Recital U). There is majority in the Parliament who will most likely vote in favour of this report when it comes back before the parliament.